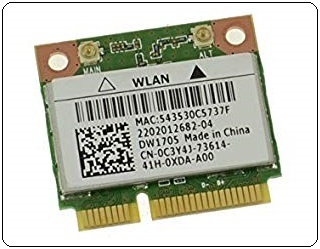 Dell 1705 802.11b/g/n Driver wireless. This package provides the driver for the Dell Wireless 1705 802.11b/g/n, Bluetooth4.0+HS Driver and is supported on the Latitude 3440, Inspiron 5437 and 3437 running the following Windows operating systems: Windows 8.1 64-bit. Format Description: Dell Update Packages (DUP) in Microsoft Windows 32bit format have been designed to run on Microsoft Windows 64bit Operating Systems. Dell Update Packages (DUP) in Microsoft Windows 64bit format will only run on Microsoft Windows 64bit Operating Systems. When selecting a device driver update be sure to select the one that is appropriate for your operating system.